First, let me give you some of the details to this really unique tripod. Below notice the quick release button. This allows you to attach this part to your camera and you can basically leave it on your camera all the time. I have not taken mine off since I received it and it makes it so easy to set up the tripod when you are ready for it. Next, you will notice there is a small knob on the side of the tripod. This allows the user to move the top of the tripod head as you want it. For example, maybe you want a horizontal shot or a vertical shot. Or maybe something on an angle? This makes it easy. It also allows you to get the camera level for a clean shot since this can be attached to anything and would likely not be level with out this feature. Of course, how do you get it level? With the built in level of course! How's that for making things easy? I have used the level on many occasional so its handy that it's built into the tripod. As you can see from this picture, it shows how you can adjust the tripod head on an angle to get it just the way you want it. If you don't want to keep the tripod head attached to the camera, all you need to do is unscrew it and there you have it. Very simple to use. Now of course the real reason to use this tripod is that it can be put basically anywhere. Here's a few examples of how I used it to give you an idea. Maybe you want to use it on the beach for pictures - put it on the beach chair. Or perhaps you want to use on on any old chair you have laying around to get a picture? Here's one showing the camera on the staircase! This thing can literally go anywhere you can put it. Initially, my main concern was putting my $1000+ camera on this and it not holding properly. The key is in the rubber legs that allow it to be twisted any way that you want it to get the tripod secure. There was not one time after I had it secured to something that I was worried about it falling - it would not move around. I even had it on a beach bench during a windy day and there were no problems. That's because this model is rated for a DSLR camera to it can take the weight. I even included my heaviest 300mm zoom lens to show you. Very stable. Used as a regular tripod too. In addition, you can use it for any other smaller camera you have as well. Here's my simple point and shoot camera and it works just great. You can even move the legs how you want to stabilize it even further. This type of position seemed to make it even more stable than a traditional tripod stance. Overall, this is an incredible tool especially for bloggers. We tend to take more pictures than most people and I also tend to take tons of pictures for product reviews as well. It's a valuable tool to help improve the look of your blog with great looking pictures. * Note - I received a complimentary Joby Gorillapod SLR Zoom in exchange for this review. All opinions on this blog post are my own and I was not paid or required to give a particular opinion on the product. 5 miles on the schedule today.....done! It's been some fantastic running weather this week! Get out there and do it!!!! Also, did you check that moon this morning? Wow - a really nice orange color. I don't know if I mentioned it but I'll be at this 5k coming up a week from Sunday in Livonia. It's been a LONG time since I've run a 5k. I'm not sure I'm looking forward to the pain of it - I don't like speed work - but I am excited to run the race to see how they operate. I'll be doing a full race review after the race with my usual details. The race has asked me to come and run it so I can review it and I'm happy to help them out especially since this is a great cause for Cancer funding. If you are interested in running it with me, go HERE for more details and to sign up. I hope you will join me. Only $22 and a shirt guaranty if you sign up by tomorrow. 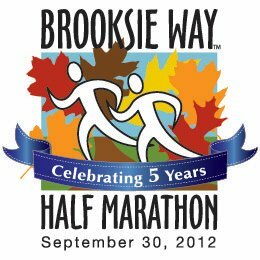 Three weeks after this race I'll be running the Brooksie Way Half marathon in Rochester. This was my first ever half marathon and I missed it last year so I'll be happy to run this again. 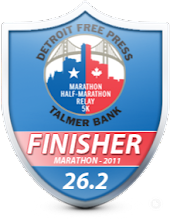 I'll be running for the Renewal by Andersen of Detroit team and my running buddy, T, also signed up to run in this as well. This is a race entry that I won through a contest they had on their Facebook page. I'll be doing a 20 mile run that day with 7 miles before the race and then the race. It's a hilly course but a really enjoyable one and this is their fifth year running. Interested in joining me, go HERE to sign up! 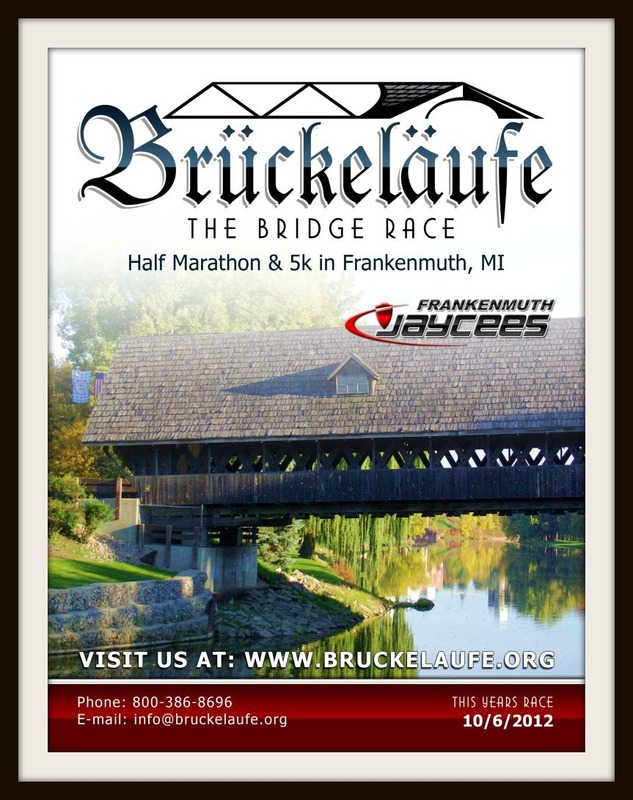 Then the following Saturday after the Brooksie Way, I'll be running the Brückeläufe half marathon in Frankenmuth, MI. 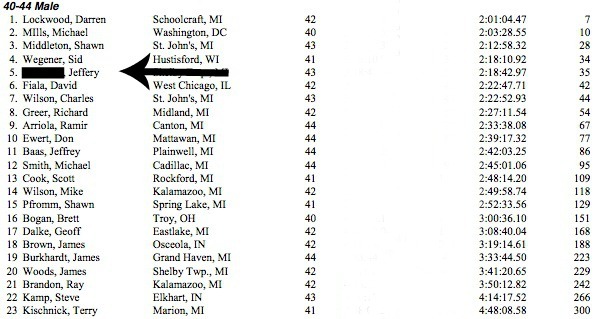 This is an inaugural race in the little town of Frankenmuth. If you have not been there, now's the time to visit this quaint town. The race is put on by the Jaycees in Frankenmuth and they have had much success in the area with other races they organize. Visit the race's website HERE to sign up. 11 bridges to run over!!!! 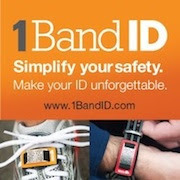 A fantastic and unique idea! I'm a race ambassador for them and will be doing a complete race review after this race as well. I'll also be giving out more details in the coming weeks as the race gets closer. It's very difficult to stand out in the world of racing and I believe they have something here. 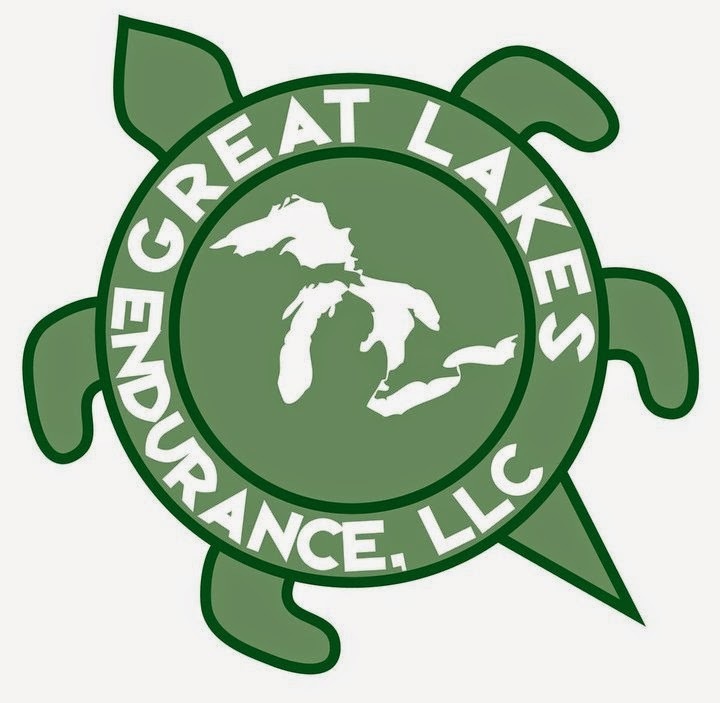 Three weeks later, on October 21st, next up would be the Grand Rapids Marathon. Wow - Marathon #4 for me and I'm really looking forward to this race. I've been training really hard for this one and hope that it pays off. In any case, I'll be happy just to be there plus I'm doing whatever I can to get my running buddy, T, his sub 4 hour marathon he really deserves! It's my number one goal! I've heard nothing but great things from runners that have run this event so I can't wait myself. If you'd like to join me, sign up HERE and bring a beer for the race director! 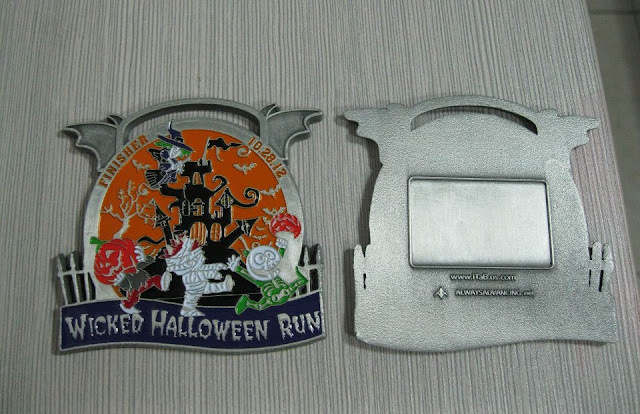 Then just one week after the marathon, I'll be running the Wicked Halloween Run 10k - Plymouth, MI - October 28, 2012. Don't worry, last year I ran the Free Press marathon and then ran this race a week later as well. I won't be setting any records that day but will have loads of fun! Registration is now open for the Wicked Halloween Run in Plymouth, MI. This race is put on by Kona Running Company and is sure to be a great time. Last years inaugural race was fantastic. See last year's race review I did HERE. It's not in my updated format but gives you some great information. I'll be talking about this one again in the next month with much more details but their website(HERE) has all the information. This is the last race on my schedule for the year unless another race comes up. I'm thinking of running the Detroit Turkey Trot since it's the 30th year but have not decided at this point. I've got way to much running to do until I need to decide and until race prices jump. Plus I really do like to sleep in on Thanksgiving day. Ha!